If you hold a commercial driver’s license (CDL) and have received a CDL traffic ticket, call Chambers Law Office today to discuss your case. As the former Marion County Traffic Court deputy prosecutor, Julie Chambers has unique experience to help fight your ticket and protect your license. A CDL traffic ticket can have serious consequences, and at Chambers Law Office, we understand that and we will work to obtain the best possible outcome and minimize the penalties you may be facing. Many people do not understand that a CDL traffic ticket remains on your driving record for years. 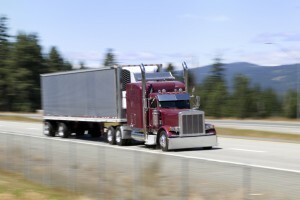 If a CDL client receives multiple citations over a period of time, those tickets can cause license suspensions, CDL disqualification and even the loss of a job. Under the FMCSA regulations, certain citations are considered either major or serious violations, and depending on the citation and how many convictions a CDL holder has on his or her driving record, these citations can trigger mandatory license suspensions. Major CDL traffic violations include operating while intoxicated, operating a CMV with a BAC of .04% or greater, leaving the scene of an accident, driving on a suspended CDL, or refusing a breath test or blood test as required under an implied consent law. Serious CDL traffic tickets including citations for following too closely, lane violations, reckless driving, speeding more than 15 over the limit, texting while driving or driving without a CDL in possession. (See FMCSA 383.51). Under federal regulations, CDL holders do not qualify for deferral consideration or deferred prosecution because of federal masking laws, which prohibit prosecutors or the court from hiding, or masking, a ticket (see FMCSA Regulations). However, while a deferral may not be an option for a CDL holder, in some cases we are able to have the ticket dismissed outright or amended to a less serious violation, such as a zero point/non-moving violation. Every case is unique, and we will take the time to review your ticket with you to find any possible defenses and explain your options each step of the way. If you have received a CDL traffic ticket or a ticket in your personal vehicle but you hold a CDL, call Chambers Law Office to discuss your case. Every case is unique, and while no attorney can guarantee an outcome, Julie Chambers will work to obtain the best possible resolution for your case. Your CDL is your livelihood and at Chambers Law Office, we understand that. Contact Chambers Law Office today!